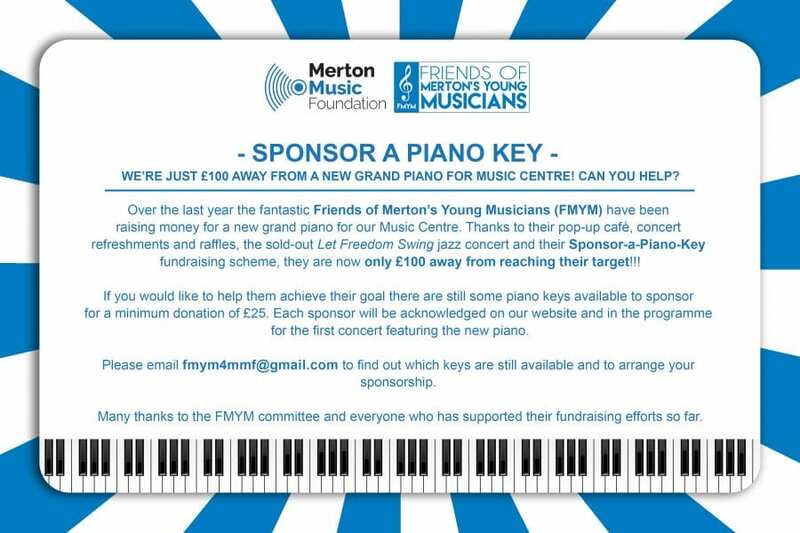 Can you spare £25 to donate to FMYM’s Sponsor-a-Piano-Key fundraising scheme? They just need 4 more sponsors to reach their target to buy a new piano for Music Centre. Thank you to everyone who has donated so far as well as all those who regularly support FMYM through buying refreshments at the Saturday café or at concerts. And obviously, a huge thank you to the FMYM committee. If you would like to take more of an active role in FMYM please come along to their AGM on Saturday 13th October at 10am at Music Centre. We hope to see some new faces there.